We talk a lot about property renovations on the Laing+Simmons blog. This is because a few simple touches here and there can drastically affect the way potential buyers view your home, and as a result, increase the selling price. In the past, we've looked at projects such as adding a swimming pool or redoing the kitchen. While these undoubtedly have a significant impact, the costs associated with such large-scale renovations can be steep, and focusing on them may result in other, smaller eyesores going unnoticed. Eliminating these outdated or unappealing parts of a property may not seem like a big deal, but you'd be surprised how much of a difference it can make when it comes time to sell your Sydney home. Accordingly, in this article we're going to focus specifically on five small areas around your home where a little can go a long way towards presenting your property in the best possible light. A driveway can play a huge part in creating the right first impression. It might seem like one of the least important parts of a property, but a driveway can play a huge role in creating the right first impression. This is because it's likely to be one of the first things potential buyers see when they arrive for an open home. Accordingly, if your house has an old, cracked driveway, or is a 70s throwback with a strip of grass down the middle, it might be time to freshen things up with a new coat of bitumen. Like the driveway, your property's fence may not seem like the most important visual element of your home. However, chipped paint, or even an outdated colour, can quickly set buyers' minds wondering whether or not the rest of the house has been properly maintained. Don't let this be a problem, and dedicate a weekend or two to repainting your fence well in advance of any viewings. Another common culprit when it comes to peeling paint and poor maintenance is the front door. Again, this is one of the very first parts of your home that buyers will see, and even something as simple as a rusty doorknob could subconsciously turn them off the property. 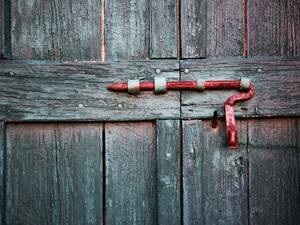 Repaint your front door at the same time as your fence, and nip down to your hardware store for a replacement if a new handle or lock is required. 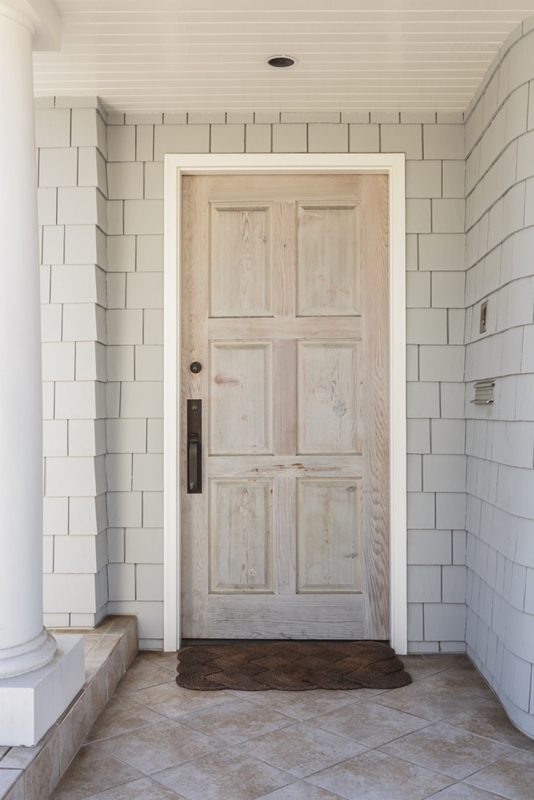 Does your front door create the right first impression for buyers? Of course, not all problems are part of the property. Some, such as old kitchen appliances, will most likely be coming with you to your new home. Regardless, they can still create the wrong impression, so it's important to either clean that heavily used toaster, or invest in a shiny new replacement. You'll probably end up looking for new appliances after you move anyway, so get ahead of the curve and take advantage of them while you're still selling your current property. The garden is one of the easiest parts of a home to freshen up. Finally, there's the garden. This is one of the easiest parts of a home to freshen up, but too many sellers forget about those weeds climbing up the side of the property. You may not notice them, but prospective buyers certainly will, so get out there and spend a few hours tidying everything up. If there are any unruly trees or hedges that you can't tame, it may be a smarter idea to simply get rid of them. That way, you won't have to worry about the upkeep during the selling process, and buyers will have a blank canvas to imagine their own garden instead. For more information on how to get the very best price for your property when selling, contact Laing+Simmons today.